Stormwater collection systems have traditionally been designed to reduce the risk of flooding through the passive collection and attenuation of peak flows. As we upgrade America's infrastructure, we must look for innovative methods to improve water quality and manage non-point source pollution. 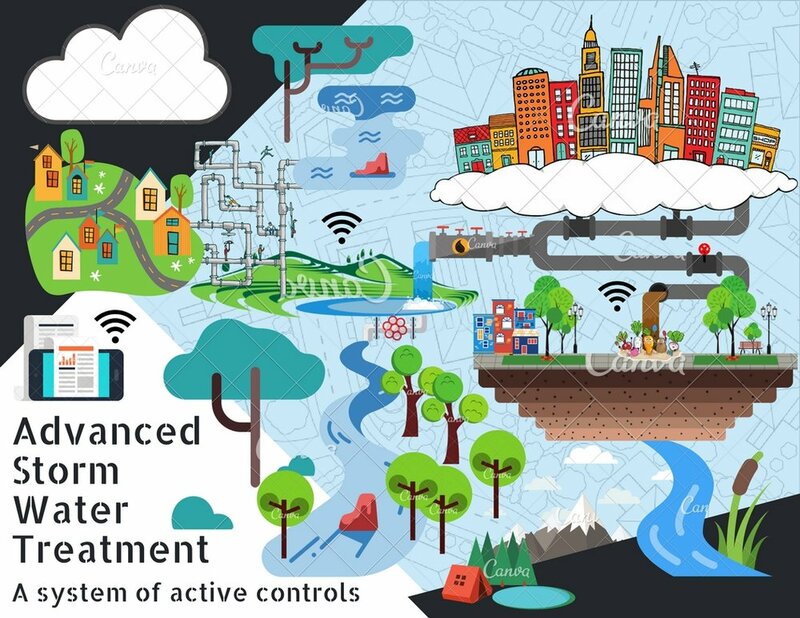 The next generation of infrastructure aims to reimagine surface water management through a system real-time control, monitoring, and forecasting to transform the watershed into an Advanced Stormwater Treatment (ASWT) System. Furthermore, rainfall has no geo-political boundaries and regional partnerships between city, county, state, as well as private and public land owners is necessary to protect human health, increase prosperity, reduce risk, and spur innovation. 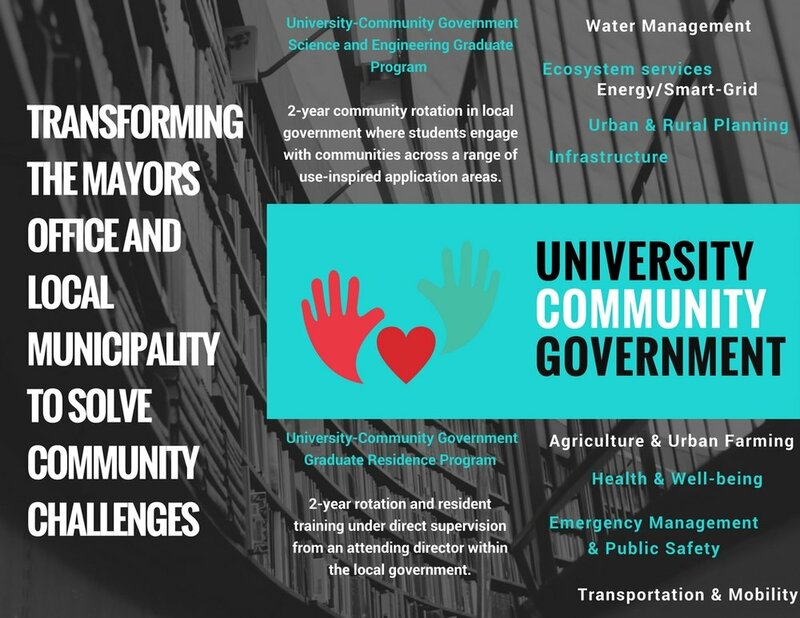 A new way for practitioners to solve today's most pressing challenges—the University-Community-Government. Modeled after the University-Hospital, scientist and engineers of all academic disciplines work directly within their local government to address challenges faced in communities across the US. This PhD program couples two years of classroom and living laboratory education with two years of community rotation in a "teaching government" where students engage the public in a variety of application areas. "The time is now. Scientist and engineers must be held to the same standards of practice as physicians. Our communities well-being is depending on it."